Many homes in Canyon Lake and Temecula Valley use heat pumps, and when it comes to keeping your house warm during winter, using heat pumps are the most energy efficient way to heat the house for a low utility bill. While central air heating and furnaces can warm up your house quickly, so can the costs. Here’s what you need to know about heating your home with a heat pump instead. Much like a furnace or a central heating/HVAC system, a heat pump is built to warm up an indoor area by pumping low-temperature heat from the outside into the home. Heat pumps can also cool down an indoor space by reversing its pumping direction. Rather than pumping hot air inside, it transfers the heat in the opposite direction and releases it outside. 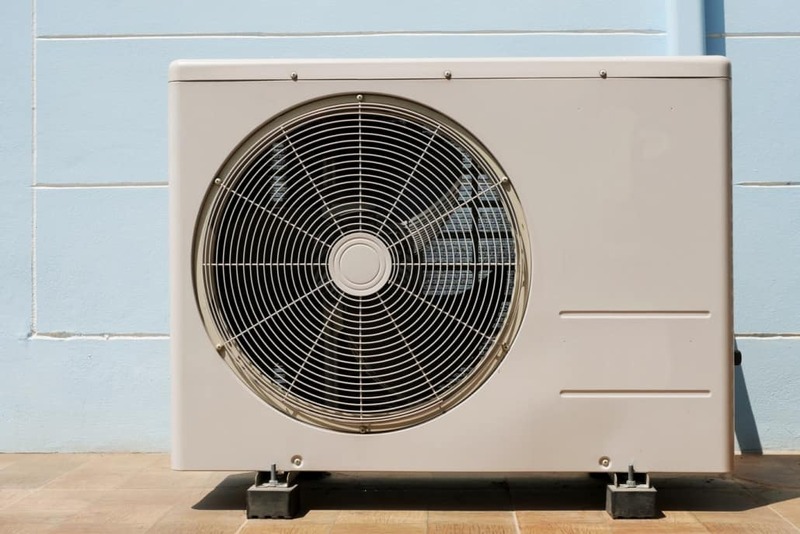 Heat pumps use renewable heat sources in the surrounding areas, such as the air, ground, or water, and transfers the heat to the designated area. Hot air naturally flows up, but heat pumps will redirect the heat to flow into your home. Even if it’s 48°F outside, there is still low-temperature heat in the air that the pump will use to warm your home up. In order to cool down your home in the summer, a heat pump will take the hot air molecules of your home and push them outside. This leaves the cooler air inside your home so you can enjoy a cool relaxing summer day. As previously mentioned, heat pumps are the most energy efficient option to warm up (or cool down) your home. By pulling from a renewable source, heat pumps use only a small amount of high-quality drive energy (i.e., electricity, gas). Heat pumps will also reduce gas emissions such as carbon dioxide (CO2), sulfur dioxide (SO2) and nitrogen oxides (NOx). Basically, heat pumps are an environmentally friendly way to keep your house warm in the Canyon Lake winter without the high utility bills. Is My Heat Pump Working? Cold Air Flow From Vents – Heat pumps are constantly giving out heat, even if it doesn’t feel like it. The air flowing from the vents may feel cold, but it’s because the air temperature is lower than your body temperature. Water on Outdoor Coil – Water running along the coil is completely normal because moisture in the air will condense on the outside surface. The condensation is actually an indication your heat pump is working. Frost or Ice Build Up on Coil – Although this is rare in Canyon Lake and the Inland Empire, when it does happen, the system will automatically defrost itself. You may see steam coming out of the unit, which is a sign of that your heat pump is properly defrosting. How Do I Maximize My Heat Pump’s Efficiency? Although heat pumps are already the most energy efficient way to heat your Canyon Lake home, here are a few more tips to maximize your heat pump and keep your utility bill as low as possible. Limit Heat Pumps with Setback Systems – For maximum efficiency with a setback system, limit the heat pump to setbacks, preferably while you’re at work and while you’re sleeping. Additionally, we’d recommend setting back the temperature about 6% (about 5 degrees). Don’t Constantly Change the Thermostat – This concept applies to all types of HVAC systems. Simply set the Thermostat to a comfortable temperature and don’t change it more than necessary. When heating, we recommend keeping it above 65°F. For cooling, we recommend keeping it above 70°F because lower temperatures will make the heat pump to work harder, causing higher utility costs and potentially freezing the indoor coil. Upkeep a Regular Maintenance Schedule – Heat pumps should be maintained just like any other HVAC system. This includes checking air filters monthly and replacing it when needed. Keep the area around the unit and vents clear of obstructions. Generally, heat pumps only need to be replaced about every 10-15 years, depending on how well the pump is maintained. Additionally, we would never recommend repairing your heat pump yourself because it is on a 240-volt circuit and may be hazardous without unprofessional help. If you’re looking to repair or install a heat pump, ProFlo is here to help! We gladly serve all homes and commercial buildings throughout Canyon Lake and Temecula Valley. Feel free to give us a call at 951-694-1300 or reach out through our contact page.